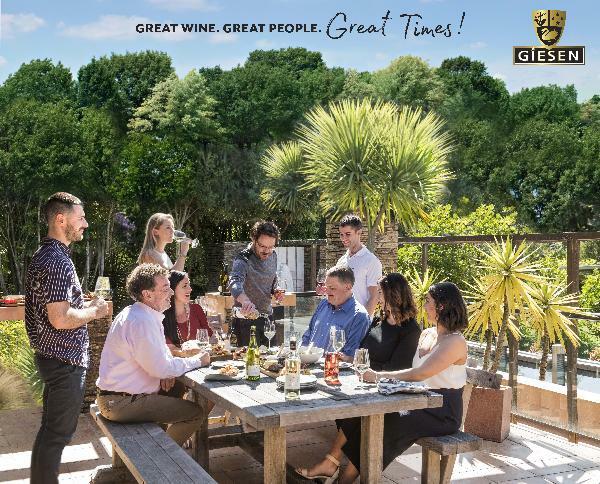 Giesen Wines, established in 1981 by brothers Alex, Theo and Marcel is one of New Zealand’s top 10 wineries and is distributed in 33 countries. From their first vintage in 1984, walking to their own tried and true beat, the three Giesen Brothers have always created great wines. The world fell in love with Giesen Estate Marlborough Sauvignon Blanc and now there’s a Giesen wine for every occasion. At the end of the day when work is done, the brothers appreciate family and friends, sharing meals and enjoying a wine. They invite you to do the same. Giesens’ characterful Cellar Door, situated in the midst of Marlborough’s vineyards, captures the Giesen brothers’ spirit of hospitality. Visitors can taste a full range of their wines thanks to the Enomatic wine dispensers, or alternatively, relax with a glass of wine and a platter of Marlborough’s finest produce in the charming courtyard.